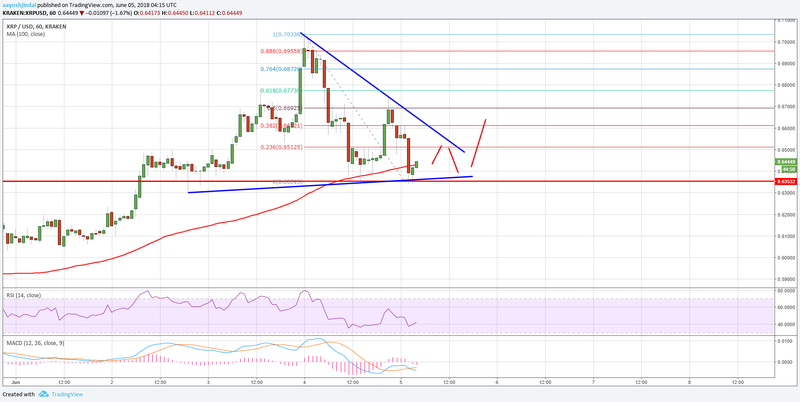 Ripple price declined recently and tested the $0.6350 support level against the US dollar. There is a major breakout pattern forming with resistance near $0.6550 on the hourly chart of the XRP/USD pair (data source from Kraken). The pair may soon make the next move either above $0.6550 or below $0.6350 in the near term. 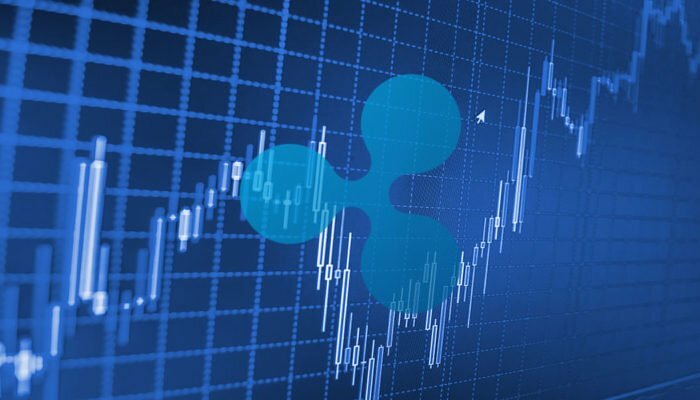 Ripple price is currently holding key supports against the US Dollar and Bitcoin. XRP/USD must stay above the $0.6350 support to resume its upside move. After a decent upside move above $0.7000, Ripple price carved a short-term top against the US Dollar. The price traded as high as $0.7033 and later it started a downside move. During the decline, the price broke a few key supports such as $0.6800 and $0.6600. The decline was such that the price tested a major support area near $0.6350 and the 100 hourly simple moving average. A low was formed near $0.6350 and the price is currently consolidating above the stated level. An initial resistance on the upside is around the 23.6% Fib retracement level of the last decline from the $0.7033 high to $0.6351 low. More importantly, there is a major breakout pattern forming with resistance near $0.6550 on the hourly chart of the XRP/USD pair. Should there be a downside break below $0.6350 and 100 hourly SMA, the price may decline further towards $0.6000. On the other hand, if the price breaks past $0.6550, it could resume its uptrend towards the $0.7000 level. Looking at the chart, the $0.6350 support holds a lot of importance for the next break. As long as the price is above $0.6350, there are high chances of an upside break above $0.6550. Hourly MACD – The MACD for XRP/USD is currently placed in a bearish zone. Hourly RSI (Relative Strength Index) – The RSI for XRP/USD is now well above the 50 level with a tiny bullish angle.